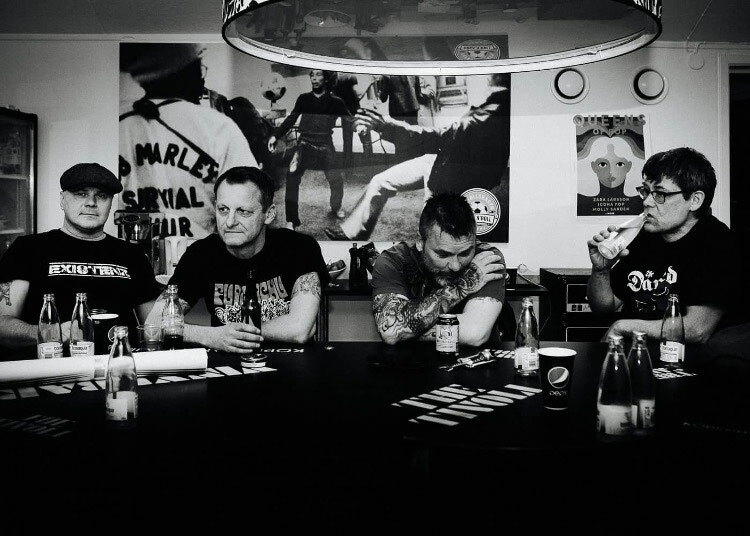 Brand new single and video from the 80's Swedish punk band Existenz out now on Heptown Records. Existenz was formed in Helsingborg, Sweden 1981 and released their first Ep ”Listen” in 1983. The EP was quickly sold out and is today a very hard to find collector’s item. In 1984 their follow up ”Let´s get drunk before it´s too late” was recorded and at that time their first bass player Roland Olsson left the band and David Butolen joined the band. It is this lineup, Jyrki, Jocke, David and Stefan Existenz are most known for. Gigs were played all over Sweden/Denmark with bands like The Bristles, Asta Kask, Anti-Cimex and many more. In the autumn of 1984 three gigs were played in London with bands like Uk Subs, Vibrators and One way System. In the summer of 1985 a mini tour was made from north to south of England with bands like Varukers, Instigators and Urban Dogs. Since approx two years ago Existenz reunited in the "drunk" line-up and have so far played a number of gigs, more to come.